A perfect way to announce the baby's gender and surprise grandparents or spouse. 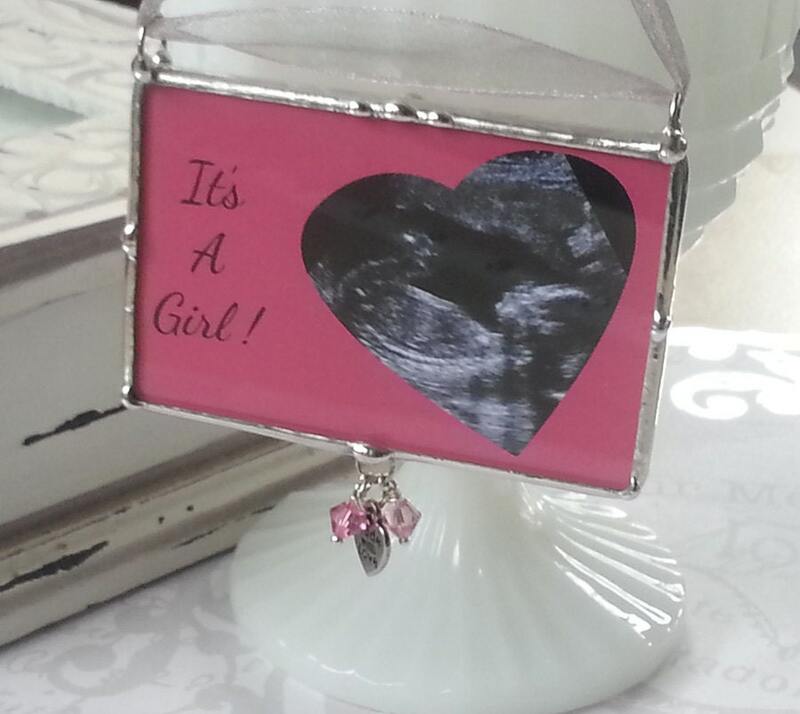 I will create this lovely keepsake using your ultrasound photo. Once you place your order, I will contact you for your details such as color, gender, photo, deadline date. This ornament is a 2x3 inch rectangle. It is two sided and the image and wording are sandwiched between two pieces of glass. I then seal with copper foil and using the tiffany method (as in stained glass work), I solder a silver edge around the glass. It will be embellished with ribbon and crystal colors of your choice. It also includes a little heart charm at the bottom that says "Made with love".